Gurney Beach Resort Condominium scheme is located along Penang's famous promenade Gurney Drive. It is a most desirable location for seafront living in Penang. Every unit of the condominium block is a corner unit that has a balcony with an unobstructed seaview and luscious green landscape below. The immediate neighbourhood comprises mainly residential properties that are served by good, established roads. Besides, it is one of the most beautiful and expensive condominium block on the island. The residential scheme consists of a 39-storey high-rise condominium block and has a total of 146 units. Every unit features extensive full floor "height-gazing" with an unobstructed view. The neighbourhood apartment blocks are 11 Gurney, Indahria and Sri Pangkor. Built-up Area : approx. 2,760 sq.ft. 24-hours security, car park, landscape garden, management office, community hall, swimming pool, wading pool, gymnasium, sauna tennis court, children's playground, BBQ-pit, intercom system. Saw asking price dropped to 1M. Good price to buy? Is this condo well maintained & managed? Any resident/owner who're serious tennis kakis, looking for regular sparring partners/doubles competitors on weekly basis? Ur court looks brilliantly designed enough to host some guest players & a few hrs of brilliant hitting, social & competitive fun. If we compare the price/sqft of this condo, it seems to be very cheap. 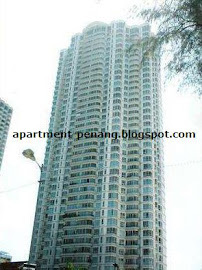 Gurney Paragon 2,800 sqft is asking for >RM2.0M. Due to the ongoing tussle between the property mgmt committee and developer on the unsettled missing sinking fund? Hello? Does anyone know the price of a fully furnished mid floor unit (12 - 16 flr) unit? I was told a unit of 2678sqft is going for 1.5 fully furnished with 2 carparks. My family will move to Penang by August this year. He would love to team up with you guys for a tennis game. you can reach him at tanipha61@hotmail.com (Nick Morgan). I've a unit for sale above 30th floor asking RM2.2mil nego. I have buyer and tenant looking for this condo. I have a serious client is keen on Block A unit. If you intend to sell your property please kindly contact Darold Tan at 016-493 2520 / daroldtan@gmail.com. Few unit on hand !! !